Private social networks have been around for a while, but have recently become more popular with both brands and individuals. This growing trend in private communities has meant an uptick in the diversity of platforms and the features they offer. This growth is definitely worth paying attention to if you’re in the non-profit and association world. These private platforms have untapped potential for organizations looking for any advantage they can in providing value to their communities. But with great reward comes great risk and there are many things to consider before jumping onto a private network. So before your organization leaves its Twitter account or Facebook page for a newer, hotter platform, check out the pros and cons for starting a private social media network. Pro: Private social networks protect the benefits of membership. The old saying, why buy the cow when you can get the milk for free, is a main reason people might not be joining your association. If a non-member is able to get the same value as a member from your social media efforts, it only adds to this rationale. Having a members-only social network gives more incentive for non-members to join to get access. It also provides more value to existing members and makes them feel like part of an exclusive group. Con: You can’t connect with people who aren’t members. The whole purpose of a private network is to restrict your audience to just those investing in your organization. This makes it pretty much impossible to use your private network to highlight or promote member benefits or your organization’s events to non-members. Having a loyal membership is amazing, but your organization may stagnate if you aren’t trying to bring new members into the fold. Pro: Only people who are passionate about relevant topics will join, which will probably lead to great content quality. If your non-profit only allows those who are passionate about a cause or industry onto your private platform, the content you share, and is being shared by others, is going to be high-calibre. Everyone in the group benefits when the content is better and your organization gains a reputation of providing accessible, informative material for members. Con: Your content may be better, but at what cost? Operating private networks, along with any other social media accounts your organization might operate, takes a greater commitment of time and money. Some of these networks also cost money to set up, especially if you build a custom platform. While the return may justify the investment for some non-profits and associations, not all organizations have the resources to find out. Pro: The content you share on a private network can be more targeted. Your organization already has a group of people who are interested in your industry or cause by their very participation in your non-profit and in your private network. Reaching out to these people can be more targeted as you know their interests, passions and career arc. You may even receive more engagement, as there is a more personal feeling on private networks than other types of social media. Con: It takes extra effort for your audience and yourself. Chances are, your audience is already on the “open” social networks, like Twitter and Facebook. Signing up for a private network, accessing it and checking it daily can turn into an unnecessary hassle. The same can be said for yourself. Not only do you need to take the time to create a great account, but you also have to promote the fact that this private community exists, which means more time and money without any guarantee of success. These are the platforms that most people know and love, such as Twitter, LinkedIn and blogs. These social networks are most often public, but also provide the option to make your account private. You have an invite only LinkedIn group, a locked Twitter account that filters followers and a blog that is only available through a members-only portion of your website. These are the social media networks that are built to house private communities. There are many of them, most geared toward specific uses, such as professional associations or even teachers and their classrooms. A few of the more popular ones include Path, 23Snaps and Everyme. That sentence is one of the fiercest enemies of progress and success, especially for non-profits. Unfortunately, when it comes to marketing and communications, many organizations miss out on some big opportunities to grow and thrive because they are hesitant to invest in social media at the expense of traditional media, such as direct mail, magazines, TV and newspaper. The number of people who use social media has skyrocketed in the last few years and it keeps rising. The number of people who go to social media for their news has gone from 39% in 2012 to 50% in 2013. On the other hand, there’s a downward trend in the number of people who go to traditional media for their news. Newspaper has gone from 29% to 28% and radio has decreased from 33% to 23% between 2012 and 2013. Times are changing and your organization should probably take note. You can reach more people with social media than ever before and its quickly rising past traditional media as the go-to source for news and interacting with the world. Non-profits can extract reams of data from their social media efforts. From how many people are looking at your tweets to the number of people (and their age, gender, etc.) who are engaging with your Facebook post, social media has it all. You can use this data to make your organization better, provide more value to your community and grow your non-profit. The best part of social media data is that it’s cheap. There are, of course, expensive tools that chart the most minuscule patterns, but useful data can be gathered for free from various sources, especially since Twitter Analytics became accessible for everyone in August. Traditional media is a one-way conversation. You can put out an ad, an article or a testimonial in traditional media, but unless you gather your intended audience in a room or call them up on the phone, you’ll never know how they have reacted to it, if they have any questions or give them a chance to share it with their colleagues or friends. Social media is different because it’s a two-way conversation. 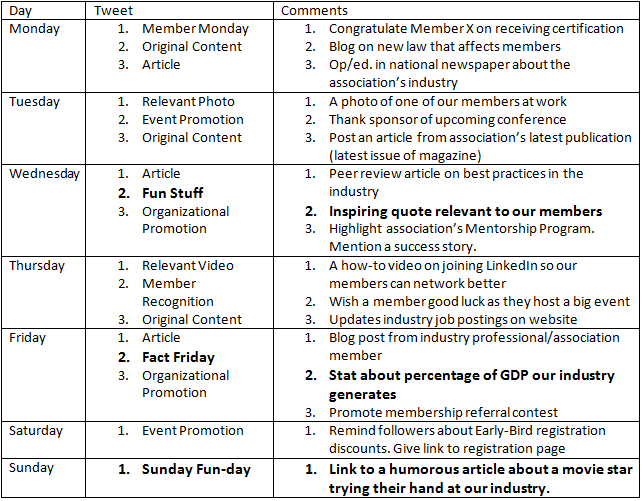 It allows your members or community to comment, reflect, share and further engage in any content you post. You can answer questions in a YouTube video comment section or encourage conversation on a Twitter post. Engaging your community increases value for your community and creates an environment of inclusiveness that makes people want to come back again and again. Time is often of the essence and social media understands that. 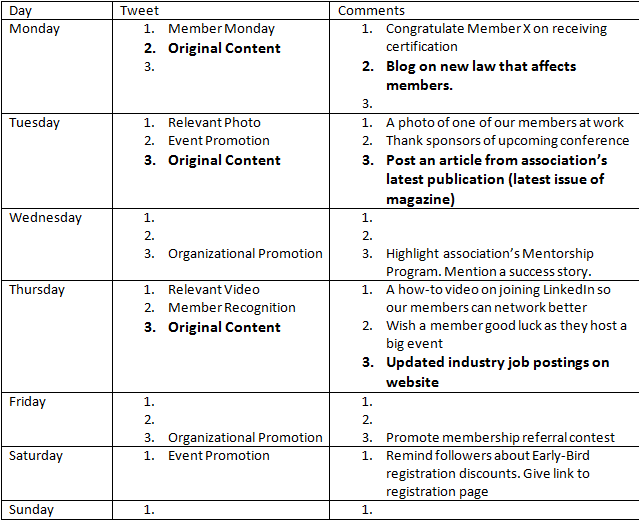 You can post multiple times a day to various platforms to get your content out to your members or community. If something happens that suddenly that affects your members, you can take to social media to let them know. 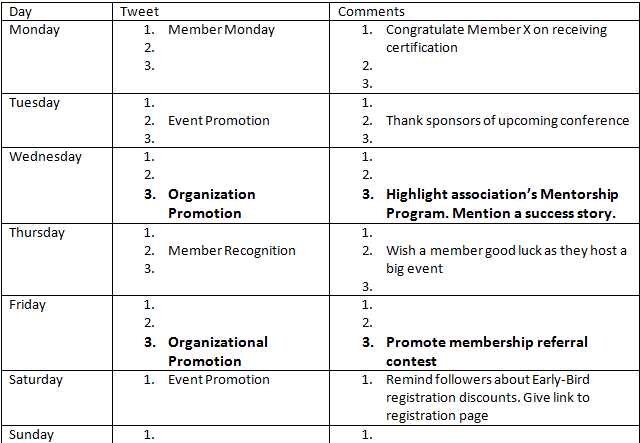 You can promote an initiative or event several times a week if you that’s your plan. The same cannot be said for traditional media. There is a limited number of times you can publish material in traditional media and it takes time (not to mention money) to get in contact this way. There are are countless opportunities you can your members can miss because the timing of material in traditional media is even slightly off. Many people are worried that social media is actually just a different word for chaos and risk. This fear is uncalled for. The truth is, social media gives you more control over a message than traditional media. You can explain yourself on social media, delete or edit a post, offer apologies, control who you follow and who follows you and moderate comments on almost every platform there is. Traditional media doesn’t offer you the same luxuries. Once you send it out, you can’t take it back, you can’t moderate it and you can’t chip in with your thoughts or follow-up. Taking control of your message and your future is easier with social media than with traditional media. The one issue that matters to association leaders, above all else, is lobbying and advocacy, according to a study by Association Adviser and Naylor LLC. Informing the government, media and general public about an industry and its members mattered more to association leaders than any other duty, ahead of such topics as member news, industry best practices and networking, in the survey of 910 executives. While the responses to the survey showed a wide range, all the top issues had one element in common; they can be addressed, in part, with a great social media strategy. 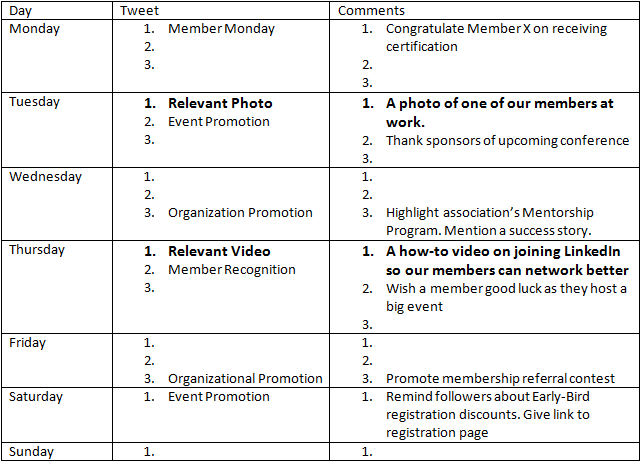 We took a look at the top five most important topics for association leaders and how social media can give each area a boost. We detailed how social media can help the lobbying and advocacy efforts of associations a couple months ago, so we’ll highlight some of the key takeaways from the post that address how being social can help dispel myths and aid advocacy. Social media platforms, like Twitter or Facebook, make it easier for your association to stay on top of all the latest news, trends and comments. Having a strong presence on these platforms allows your association to have a conversation about falsehoods or misinformation that may pop up online. Blogs, YouTube, Twitter and other platforms can also act a rallying point for members to join an advocacy campaign by your association and a place to shine the spotlight on member achievement where thousands of people are paying attention. And when a city, a country or the world takes notice, so too, do politicians. Social media is a storyteller’s dream and that’s what a how-to is all about. If you can tell a great story, explaining how to go about an activity in the best way can be engaging for members. A video on YouTube or an infographic tacked onto Pinterest, a blog, Twitter or a website will give your members a visual to go along with your story. Social media also provides members a place to ask questions about the how-to or interact with experts in the field who have published an article about best practices. Sometimes an article, video or explanation is not enough, but social media is there to save the day and give members the more in-depth knowledge they need and want. Host a Twitter chat, monitor the comments and plan a follow-up webinar to your how-to/best practices posts. There’s no denying it; people go online to get most of their news now-in-days. Your association’s members are no exception. Being online and on social media will help your association connect members to the news and trends that will benefit them in their profession. Like we mentioned earlier, social media is a great way to keep tuned to all the latest news on a particular industry, particularly with tools such as Paper.li and hashtag monitoring. 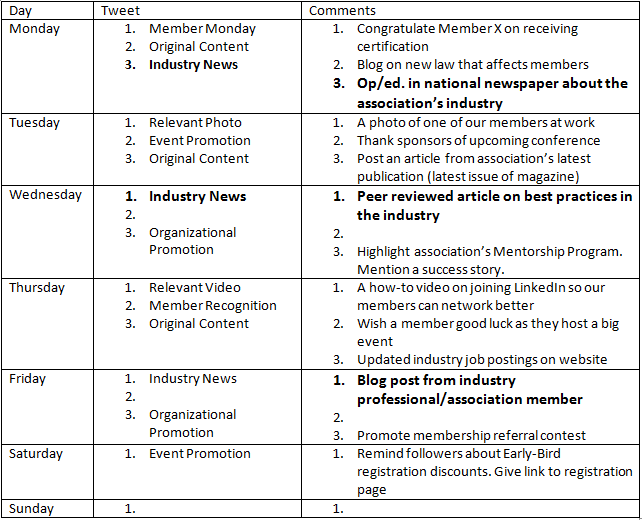 Spreading the word to members takes an engaging tweet and a little digging on which articles are the most timely and helpful. News comes in all shapes and sizes and so does social media, which makes it a match made in heaven. You can write a blog for more a more in-depth look at news or to promote the latest technological trends, for example, or take to Instagram to document the latest about association programs, services and events in bite-sized chunks. Promoting your association’s magazine or newsletter on social media allows a much wider audience to find value in your organization’s services and makes them more likely to invest in the association in the form of membership. Think of the career development resources your association offers members and you can probably come up with at least a handful of examples before you finish reading this sentence. Most of them can be promoted and made more accessible through social media. 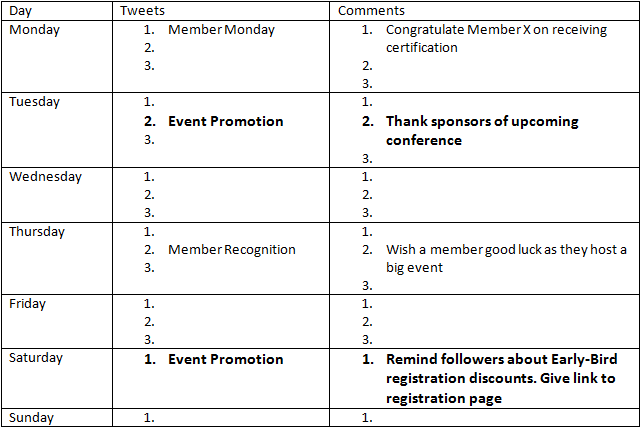 Events are a hub of learning for members and social media can add a tremendous amount to any conference, meeting or webinar, such as live-tweeting, daily recap blog posts and YouTube interviews with speakers. We’ve also detailed, at length, the newest form of education and career development taking off right now called Meetup and how it could help your association and its members. Other programs, such as a mentorship initiatives, accreditation courses and awards programs, lend themselves beautifully to the kind of storytelling social media does so well. Tweets, Facebook posts, YouTube videos and infographics can capture success stories and can make people in the industry aware of the programs when they might otherwise not have known they existed. 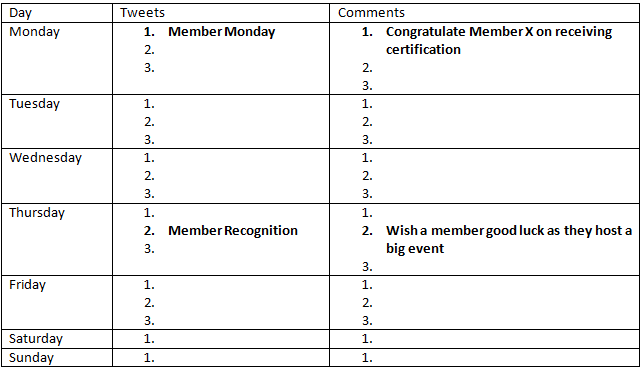 Social media is a goldmine of helpful stats and data that help both association leaders and association members do their job better. Social media provides a wealth of information about an association’s members and non-members and recent developments have made it even easier to access this data. Twitter analytics became open to all Twitter users in the last month and the data to be gleaned from the available numbers could be a game-changer for association leaders. Executives can now measure which issues get the most engagement, which trends members are paying attention to most and what topics are receiving the best response from the general public. And the best part is that it’s free! There are not many resources that are better than Twitter analytics for conducting research into the behaviour, wants and needs of membership. As for relaying the stats and facts that members want to see, well, we’ll just leave this right here. It about sums up the giant role of social media in presenting the relevant facts to the right audience. The most important issues for association leadership are constantly changing, but what will continue to stay the same is social media’s ability to lend a helping. From advocacy to statistics, social networking platforms can bridge the gap between problems and solutions in a cheap, effective way for many an association executive. Class is back in session after the summer break and while the members of your organization’s community have probably swapped lockers and backpacks for offices and briefcases, they still have a desire to learn. Education is one of the biggest reasons why people join an organization. Access to specialized information was the number two reason people joined associations in 2013 and education came in at number 5, according to a study by Greenfield Services. Your community wants to know about the latest trends in the industry to further their careers or how to initiate change to address a certain social issue. Social media is a prime channel for your organization to provide its community with this information, but it’s crucial to know which facts and figures will benefit members the most and which ones are just fluff. Many associations conduct a salary or compensation survey to track the industry environment and professional development of their members. The stats that come from these reports usually include average salary, benefits packages and vacation pay. The survey usually includes comparisons with past years, geographical locations and sizes of the organizations where members work. The data that is collected from these surveys are definitely what your members want to see and your association wants to share. Salary surveys tell members how they are perceived by employers and what their value is to an operation. It also provides a glimpse of what the association is doing to increase awareness of the role of members in an industry and their importance in that industry. Both these things go a long way to improving the professional lives of members and growing support for your association. When a donor contributes to a cause, they want to know where their money is going and how it gets there. A good non-profit knows how to be accountable and showing these types of stats will help your organization stay transparent, trustworthy and engaging. To give your donors a vision of how their money is spent and how it makes an impact, illustrate where every cent of a donated dollar goes, if possible. Track it from the pockets of your donors to the organization, to the travel and finally to the person, people or project that it was sent to. 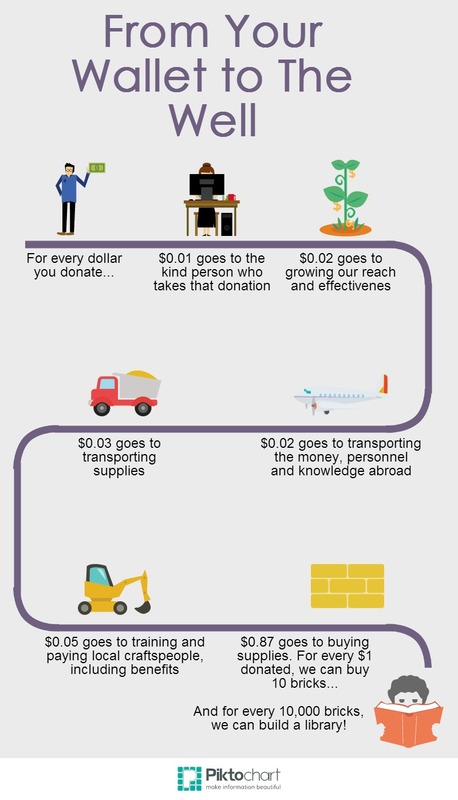 Track stats that quantifies the donation, such as one quarter equals one brick. Don’t forget to tell stories that take the numbers and make them personal. Your donors will appreciate knowing where their money goes and will feel like they have been on a journey with your organization. Almost every association offers tangible, financial member benefits from discounts on events, access to exclusive articles, insurance breaks, cuts on travel expenses and the like. And almost every professional in your industry knows about these benefits. What they may not know is how it affects their lives. This is where the stats come in. Simply telling members and potential members that they will save money in their professional and personal lives by joining your association is not enough. You can’t just answer the question, “How?” but also “By how much?” Calculate the costs your members could save by taking advantage of programs. Present the data separately or all at once to show how much of a difference it could make in a year. 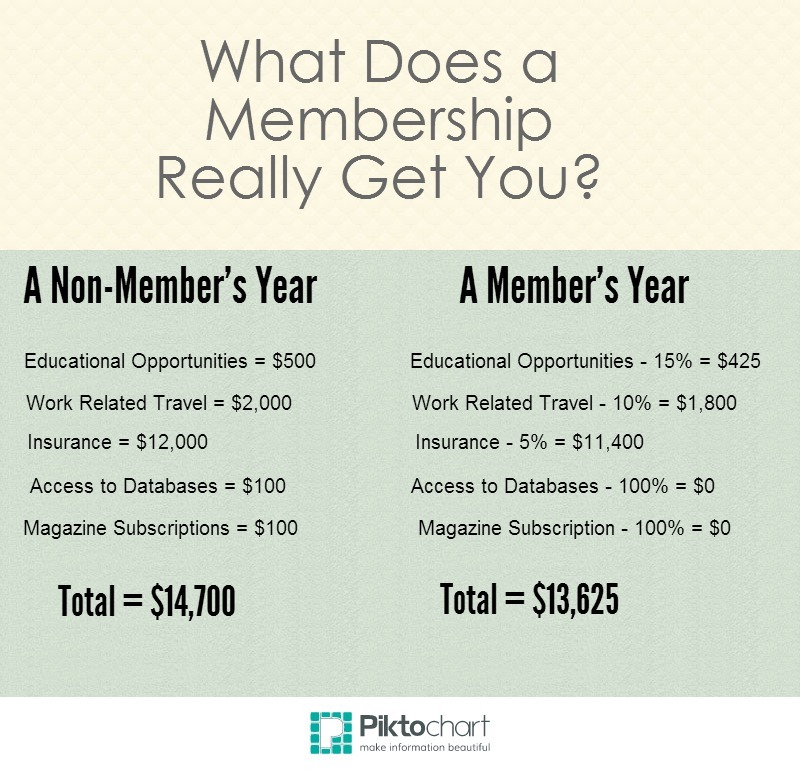 Some benefits of an association aren’t quantifiable, but for those that are, exposing them to your members is a must. Not every problem is in your face and out in the open. That’s part of the reason your organization needs a communications team; to increase awareness of an issue and encourage people to join in an effort to solve the problem. But people want to know more than that. They want to know how big a problem is, who it’s affecting and how it can get better. Stats are a great way to let people know the scope of an issue and how it is or could affect them. Facts and figures on solving the problem, such as how many supplies your financial contribution equals or how many hours it takes to build a facility, act as a call to action. These statistics empower people to not just know about the issue, but act on it as well. We have one word for you: infographics. Infographics are a great way to present information in an engaging and visually appealing way to your organization’s community. Not only are they great to have as a blog post or as a supplement to one, they can also be tacked onto a tweet, made into a pin on Pinterest or added to a Facebook post or album. Visuals rule right now and there is no better way to capture your audience’s attention, and participation, like an infographic. An example of using stats to appeal to potential donors. Remember, stats aren’t everything. People want to see a human side of your organization. Combining the statistics we’ve talked about in this post with one or more stories of how it has affected a real human, whether it’s a staff member, donor, member, etc., is a potent way to use social media, strive towards your goals and encourage others to join you on that path.